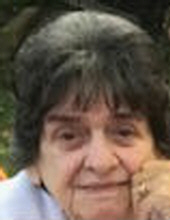 Sarah E. Gould 80 of Pontiac, IL died Thursday January 17, 2019 at 9:35PM at Accolade Health Care Center, Pontiac, IL. A celebration of life will be held on Tuesday January 22, 2019 at 11:30AM at the First Lutheran Church Pontiac, IL with Rev. Tim Hubert officiating. A visitation will be held from 10:30AM until the hour of services at the church. A graveside service will be held on Tuesday at 2:00PM at Memorial Park Cemetery, rural Pontiac. Memorials in Sarah’s name may be made to Livingston County Cancer Fund. Calvert & Martin Funeral Home, Pontiac is handling the arrangements. Sarah was born on July 31, 1938 in Fairfield, IL a daughter of William Eugene and Vina Edith (Smith) Dye. She married Barlow (Gene) Gould on October 28, 1957 in Mt. Vernon, IL. He preceded her in death on December 16, 1998. Survivors include: three daughters: Kathy (Mike) Konetski of Pontiac, IL; Karen Gould Hoegger of Pontiac, IL and Kelly (Tim) Blankenbeckler of Springfield, TN; four grandchildren; five great grandchildren; two sisters: Judy Sykes of Pontiac, IL and Edith Rankin of Danville, IN. Sarah was preceded in death by one grandson, two brothers and three sisters. Sarah was employed at Nationwide Glove Factory in Pontiac for over twenty years and also bartended at Matts Place in Pontiac. "Email Address" would like to share the life celebration of Sarah E Gould. Click on the "link" to go to share a favorite memory or leave a condolence message for the family.